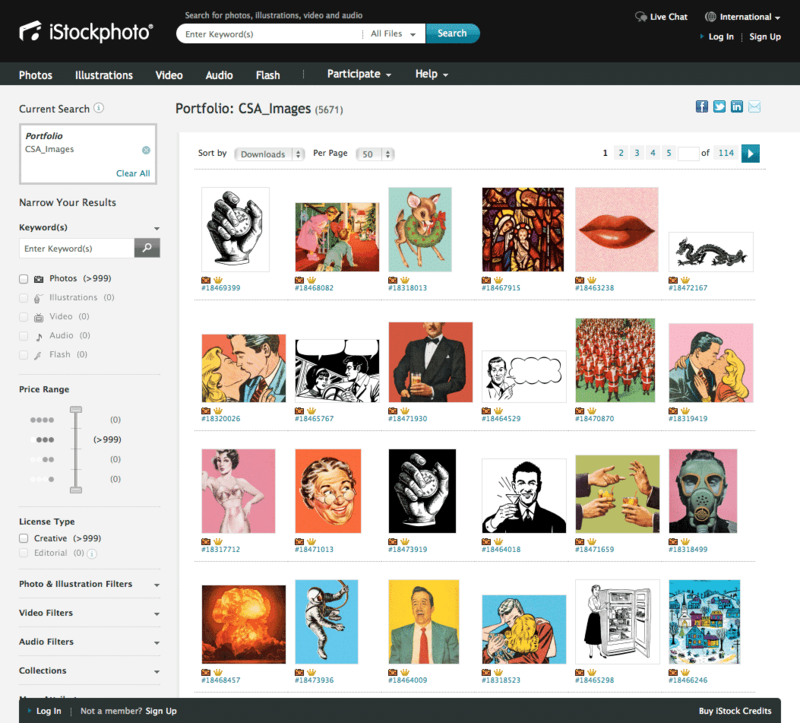 iStockphoto has just launched a new image library, CSA images from the 1960's and 1970's can now be purchased from this exclusive image library just released on iStockphoto. CSA images are media images that were hand drawn by advertising art directors, artists and comic book geniuses. These images are historical pop and print culture that were created in the 60's and 70's and now available for purchase on iStockphoto as royalty free images. These images orginate in print and were hand drawn by graphic designers before computers were invented. If you are looking for vintage print and pop art from this time period iStockphoto is the place to review and buy this unique images. These images from the Charles S Anderson Design firm are hot images that can make you look hip, popular and with it! Review these eclectic and diverse, hand-drawn pop culture icons, illustrations and design elements that can be veiwed and purchased for the first time through a stock photo agency, and not just any stock photo agency but through iStockphoto. This is, believe it or not, the first time ever in the history of the world, where CSA images are available royalty-free. We find this exciting and think that other art enthusiasts would also find this exciting. Check out the CSA images at iStockphoto today and see which ones you want to buy now and put into your portfolio! Don't have your iStockphoto membership? Get your free iStockphoto membership today!